The concept of witches has long fascinated the human population. Once seen as a frightening presence, leading to the witch hunts in an attempt to eradicate them and save the human population, today witches often grace our favorite books, movies and television shows. This modern portrayal of witches, as seen in Charmed, Buffy, Sabrina the Teenage Witch, The Vampire Diaries, Supernatural and Harry Potter, shows a much more relatable individual with many of the same emotions, mannerisms and life experiences as that of their human counterparts. In fact, the tales of Harry Potter and his experiences at Hogwarts have swept the nation, earning millions of dollars and inspiriting people everywhere to hope for their own Hogwarts acceptance letter. The final movie in the Harry Potter franchise, Harry Potter and the Deathly Hallows: Part 2, earned $43.5 million just in midnight showings. The franchise has now grown to include The Wizarding World of Harry Potter in Orlando and the website Pottermore, revealing never before seen information about the characters, and allowing its visitors to experience life at Hogwarts from being sorted by the sorting hat to discovering their Patronus. Those who practice modern day Witchcraft and Wicca continue to share the myths, legends and lore that tell the history of witchcraft across the planet. A subsect of Paganism, those who share in these beliefs are highly in tune with nature, drawing from it their energy and power. They partake in a number of festivals and rituals, each focusing on thanking nature and the higher powers for their role in guiding their lives. It is believed that one is born with their gift as a witch, however, not all witches are aware of the blessing that they have been given. Many will go through life blissfully unaware of the fact that they may actually be responsible for many of the abnormal coincidences that occur around them on a daily basis. While there are several ways to investigate whether or not you are born to travel this path in life, one of the easiest is rooted in the art of palmistry. 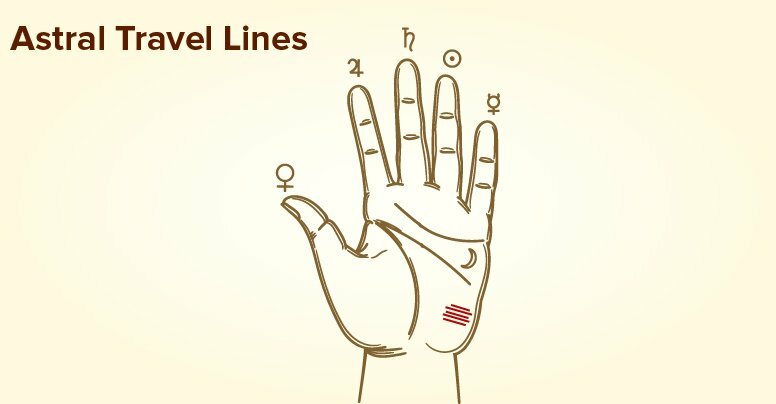 A science that was studied by our ancient ancestors, alongside that of astrology, palmistry is the ability to read the signs, symbols and lines on one’s hand in order to better understand the individual and their fate. Palmists are able to make a number of predictions including the likelihood of future success, one’s romantic destiny and how long the individual is expected to walk the planet. Your palms can also serve as the key to discovering if you are a born witch. Experts advise that there are 5 specific signs to watch out for on the palm that would indicate that one is a witch. This isn’t 100% accurate, there are some witches that will discover their abilities only to realize that they do not possess any of these signs. These signs serve merely as a strong indication of whether or not someone has been born as a witch. Located at the base of the little finger, the Healer’s Mark is comprised of four or more parallel lines. This sign indicates that not only do you possess a great magic, you possess the gift of being a healer. Focused on the well-being of all that you encounter, your gift will allow you to connect with those that may be in need of healing and guidance and understand the feelings of those who are struggling whether they choose to disclose it to you or not. You are able to bring about healing to these individuals on a physical, mental and emotional level. The Psychic Cross is a cross or x-shaped mark that can be located at the base of any one of the fingers on your hand, with each finger possessing its own, unique meaning. If the sign is found at the base of the index finger this states that you have a surprising ability for magical wisdom, and you will find that most of your magical opportunities will come when you are working towards success in life. The base of the middle finger means that you are a skilled student, learning about your magical powers during both the celebrations and the trials of life. You are taught through experiences, and in doing so will pick up on your abilities quickly. Should you notice the Psychic Cross at the base of your ring finger, this shows that you are an enchanter or enchantress. You attract and inspire those that you need in your life, helping you to discover your powers through your romantic connections. Finally, a Psychic Cross at the base of the little finger indicates a witch with a strong desire and love for their craft. Your powers are not to be doubted. Those witches who possess the Astral Travel Lines mark have been gifted with the ability to transcend both time and space. You are aware of the existence of the astral plane on a deep and subconscious level and you travel to it frequently. You live for adventure, longing for nothing more than to travel the world and experience life. 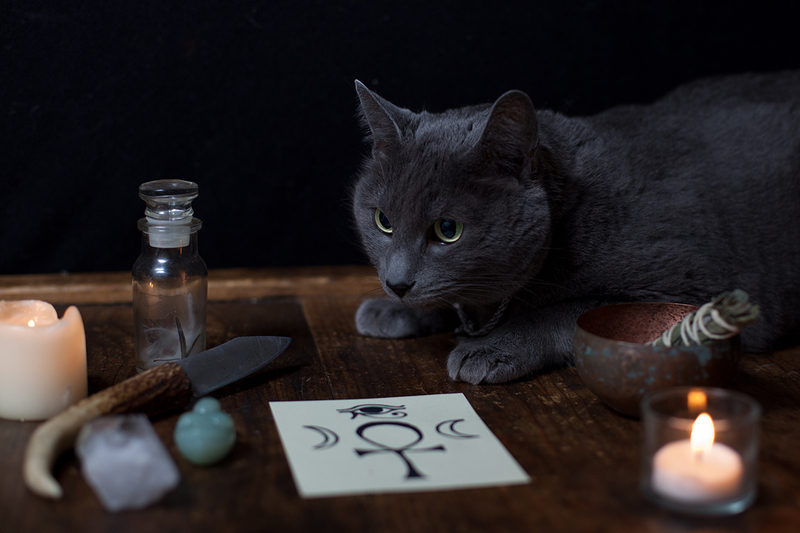 This ability to connect on an astral level enables you to communicate easily with other witches and partake in their spells. They Psychic Triangle presents as a triangle-shaped sign at the base of the ring finger. Often pale and hard to notice, this symbol isn’t one that is easy to locate and may take a great deal of concentration to find. This sign is an indication that you have great powers, however, you have blocked them either intentionally or unintentionally. This could be due to the fact you are in denial, a fear of your powers or an attempt to protect yourself after having used dark magic at some point in your past. 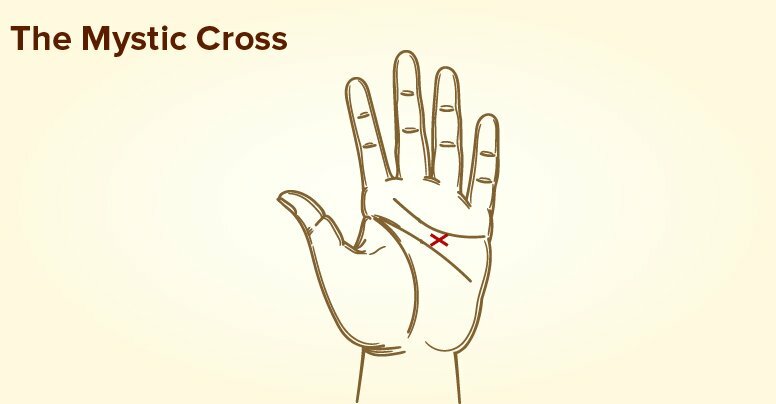 This symbol shows as a cross or x-shaped mark on the palm, located between the headline and the heart line. Known as one of the most powerful symbols, the Mystic Cross is an indicator that one likely began to recognize and understand their magical abilities at a young age. These individuals have a very strong sense of intuition which is rarely wrong. Pay attention when your gut is telling you something. Inspired by an article written by Tapoos.